Shorten cycle times, improve transparency & increase flexibility. 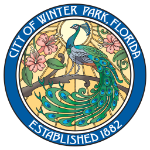 "I was simply amazed that I was able to not only download it and install it in minutes but build the workflow and implement a process in just a few hours. Our company had been tracking requests manually by email and spreadsheets and it was always difficult to track any progress or changes to the tracker. Data was always lost and who knows what version the spreadsheet was on. This solved that problem and more. Not only we were able to keep every record in one place but track progress and follow up on everything we put through Gravity Flow. Deadlines were met and no more questions about the spreadsheet tracker. If you own a business or work in an environment that requires approvals, tracking, and needs to speed up any process I would highly recommend this tool. The amount of information and support you get is awesome!" “We use Gravity Flow for enrollment of students, plus annual forms and processes required by state law. We are a large public school district in the state of Ohio. We use Gravity Flow to run workflows like central enrollment, field trip requests, professional development leave, and continuing education credits. Schools in Ohio are constantly presented with registration solutions and/or workflow solutions that cost between $65,000 to $90,000 a year. Needless-to-say, Gravity Flow is a wonderful, cost effective solution to many of the process we encounter in the public school setting." "Prior to using Gravity Flow, our company printed out forms for employees to submit to their supervisors for approval. These printed forms were often lost, accidentally thrown away, or forgotten on a desk. Gravity Flow is able to send reminders automatically to ensure the forms are completed in a timely fashion. Gravity Flow has simplified processes that previously caused many problems. I would recommend this system to anyone looking to create fast and easily customizable workflows in an environment where printing, scanning, emailing and printing again is common practice. Gravity Flow has full audit trail and reporting which we have found to be very useful. We are able to generate reports based on key fields in the form that produce statistics for management to utilize." "Gravity Flow has been heavily leveraged to optimize the typical handoffs between departments. 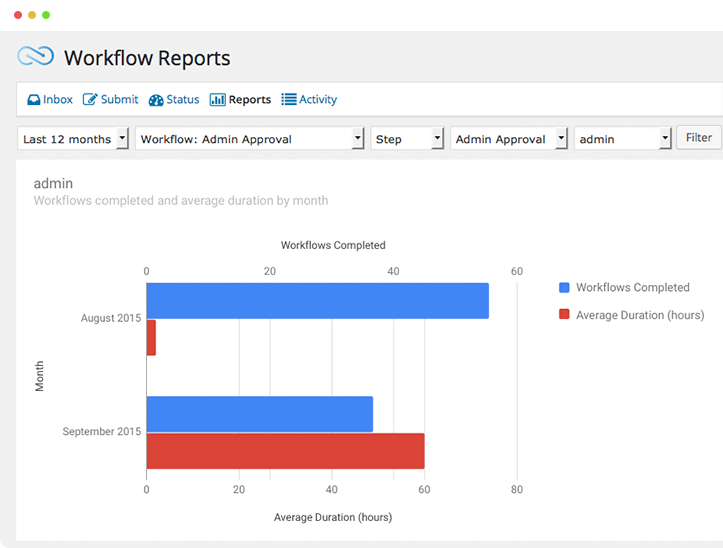 From vacation requests and approvals, to mileage reimbursement requests, to many department-specific workflows, Gravity Flow has been used to automate many workflows that were previously paper-based and to replace workflows that were previously implemented in a SharePoint system that was prone to issues. Since implementing Gravity Flow, turnaround time has been reduced to just a few minutes instead of days or weeks. Our group is seen as a hero because of Gravity Flow. We are able to rapidly implement complex workflows, and then work with the business groups to tweak them as necessary as they get used in the real world." “With Gravity Flow, we managed to develop a complex and customized vacation workflow system with several different layers and steps, simplifying the vacation request process for our users. 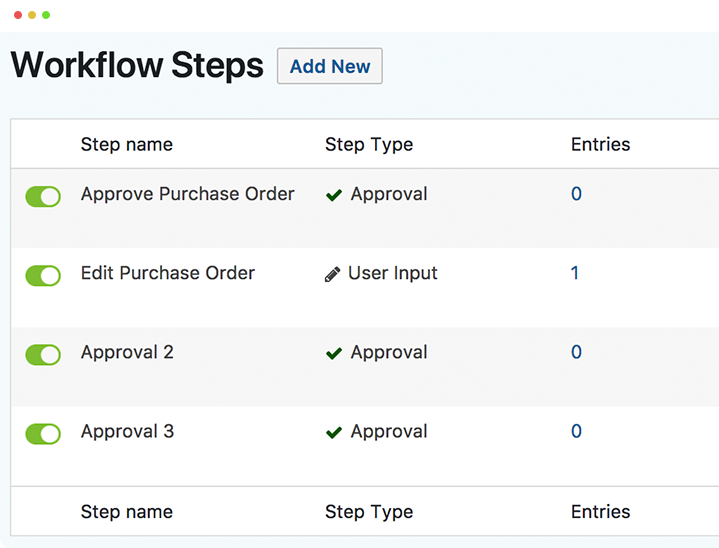 Gravity Flow is a highly customizable workflow solution, and it allowed us to create the exceptions and add the specific features our process needed. With the assistance of the exceptional support Gravity Flow provides, we were able to develop a vacation workflow solution that not only saves us time but also money in managing our requests. Gravity Flow requires WordPress and Gravity Forms. All licenses include a Starter License for Gravity Forms for the first year. Prices are exclusive of EU VAT (only for customers inside the EU). You could sign up for an account on a hosted workflow service. The pricing models for SaaS (Software as a Service) solutions are generally pay-per-user or pay-per-process. Compare the costs – both now and as you scale. How quickly will you get a return on your investment? If any of your customers’ personal information will be on their servers, will you be able to get the contracts in place to comply with data protection regulations? You could also choose to do nothing – continue as you are with your paper forms, web forms, follow-up calls, emails and lists. Do you know how much this is costing you? The cost of doing nothing vs the return on investment can be astonishing. Is there a single-site version of the Ultimate license? 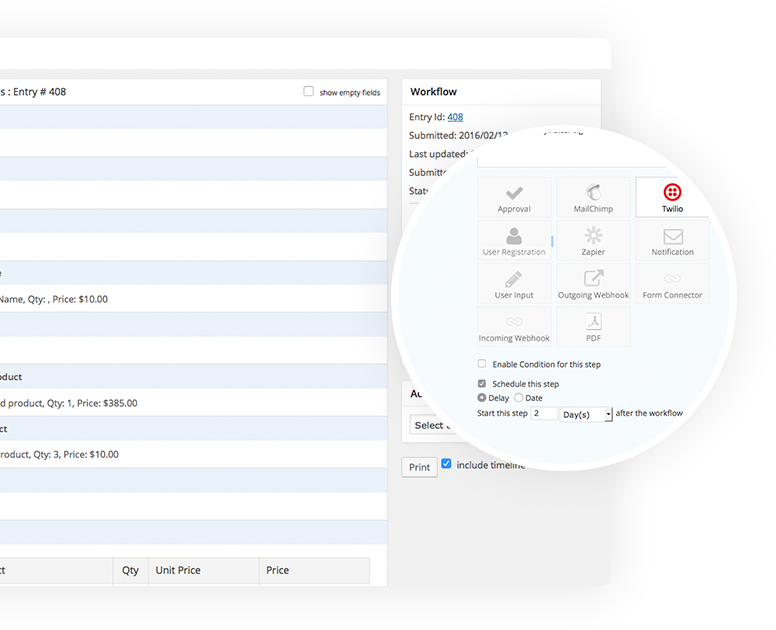 No, you can choose to pay as you go license by license, extension by extension, or you can choose to purchase the Ultimate license bundle which includes all the extensions. Yes, you can upgrade any time for the price of the new license minus the price of your current license (extensions not included). The expiration date is not affected. I only need Gravity Flow for one site on a multisite installation. Which license do I need? The only licenses which support WordPress multisite are Volume and Ultimate. They will support unlimited subsites regardless of the number of sites they’re activated on. 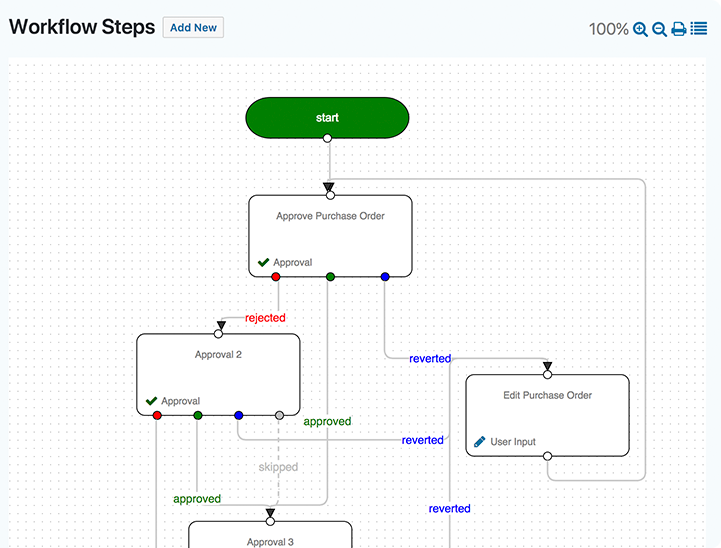 Yes, we have a demo site where you try some sample workflows.